Germany´s capital Berlin has become one of the most popular city destinations for young and old. Berlin has so much to offer – a trendy city with incredible history and lots of interesting places to visit. What to do in Berlin in 2 days (and at the end of the blog post you find a day trip from Berlin so it is actually 3 days in Berlin)? Keep reading to find out. When I went there for the first time, I was one of those who didn’t like Berlin at all. However, after a few more visits it turned out to be one of my favorite cities in Germany. Not everybody loves Berlin – it isn’t the most beautiful and surely not the friendliest city, but Berlin is probably the coolest and hippest city. Eventually, I liked it so much that I lived there for a few months and I enjoy to return once in a while. 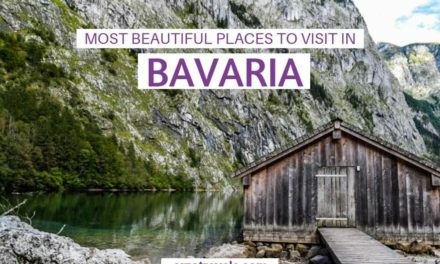 If you like that kind of “coolness” or at least don’t mind it, you can have a great time, because Germany’s capital has definitely a lot to offer. Before discussing your Belin itinerary, here is some info for your Berlin trip. Berlin is quite famous for an airport that has not even open yet – and no one knows when or if it will open and when the first flights will arrive/depart. However, Berlin has also two airports that are open: Schönefeld and Tegel. Budget airlines, as well as all other main airlines, operate from these two airports and both are well connected to the city center, so it is easy to get from the city center to the airport via train, buses, or car. 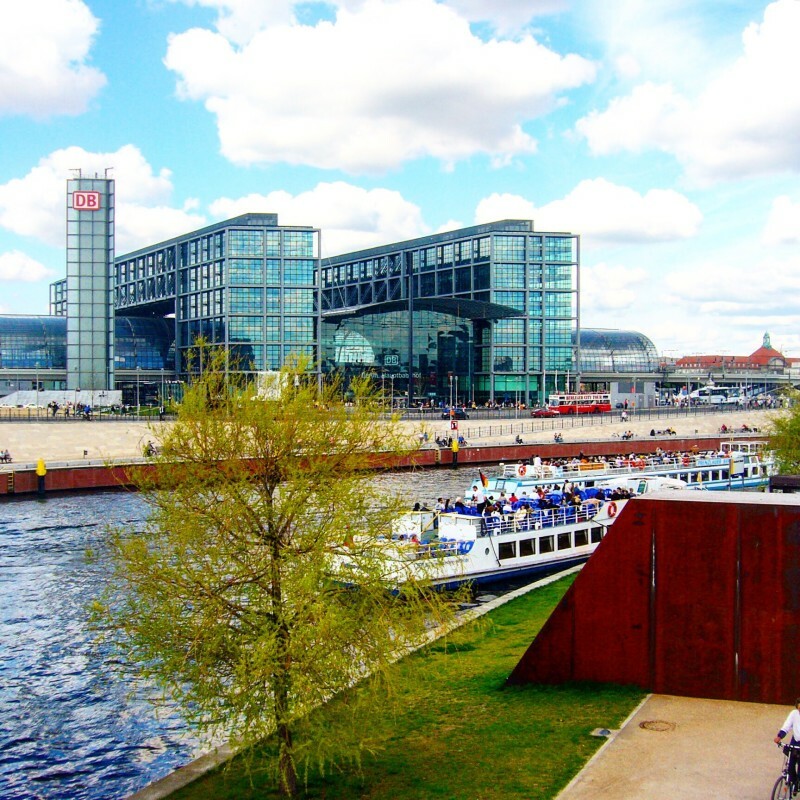 Berlin´s main train station (Hauptbahnhof) is incredible – and a must-see place in Berlin. But the train station is also a good way to arrive in Berlin: Getting to Berlin via train from many parts of Europe is quite convenient. Ostbahnhof is another train station which is often the arrival point for travelers and it is easy to get around from there. Some people rent a car in Germany so they can drive on the Autobahn (freeway) – where some parts do not have a speed limit. If you plan to drive to Berlin by car you should know that Berlin can get quite busy and the public transport is great. While I would recommend getting to Berlin by train or plane I totally understand the fascination of having no speed limit and sometimes a car is just necessary. If you want to rent a car in Europe/Germany you can find the best deals here. Berlin has a great public transport system, so any place is good as long as it is close to an underground station. Popular areas are e.g. “Mitte” “Prenzlauer Berg”. Berlin has it all – from hip hostels and Airbnb accommodations to beautiful 5* hotels. 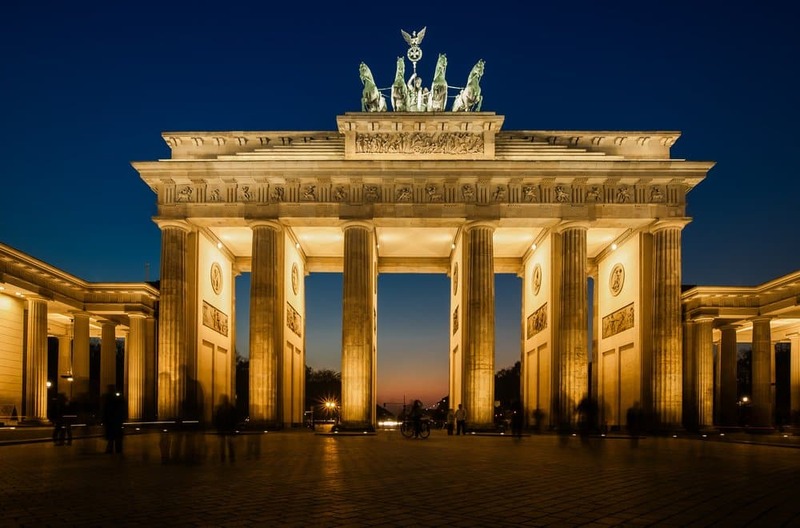 One of the most famous hotels is the Hotel Adlon – in a perfect location and next to the Brandenburger Tor (check out the best rates here). It is worldwide known but there are many other great accommodations. If you are more into Airbnb you can use this code to get a 35€ (about 38$ discount) on your stay. Dining in Berlin is pretty cool because the cuisine is very diverse and quite affordable. Berlin is a melting pot and so is the cuisine – there something for any taste and every budget. Also, Berlin has a leading role for good vegan food, even if you are not into vegan food, you can try great dishes for reasonable prices during your Berlin stay. My favorite area to eat is Hakescher Markt – a busy area with many restaurants and cafes. For more about vegetarian restaurants in Berlin click here. Berlin is known for its “cool” fashion style but I admit I am not a huge fan of this “trendy” and “we do not care” look. Though it seems the people in Berlin do not care about their look they apparently do – it is just extremely casual and cool. This means that you are quickly overdressed and so feel free to dress casually. Most of my tips are free or do not cost much. However, there are also guided tours available – and I admit, I enjoy guided tours once in while, so I added suggestions for tours in Berlin as well. I mostly use GetYourGuide to Viator when booking tours – both are good websites, but lately, I prefer GetYourGuide a bit over Viator and so you will find more links to that (if you have not tried out GYG give it a go), just click on the links/tours to find out more about the best tours and activities in Berlin. Berlin´s public transport is pretty good – if the employees do not strike. You can see many places by using public transport, and since Berlin is geographically quite big, you will – most likely- need to use public transport/use your own/rental car or take taxis. If you plan to stay in Berlin for a short time, I definitely recommend one of these Hop-on/Hop-off bus tours. I admit that I do those tours pretty often in cities I can´t spend much time, but want to see as much as possible. The high competition of the bus companies you can bargain at the ticket “office”. They also sell boat tour tickets on the river Spree as well. Though I even lived in Berlin for a few months (I am originally from Bremen) I did three tours in Berlin over the years and would do them anytime again. To get your own great deal without having to bargain click here. Berlin is overall a safe place – however, I recommend avoiding side streets and tube stations at night – especially when you are alone. You need to watch your belongings and always keep your valuables close to you. Pickpocketing is common but with a bit of precaution, you can enjoy a wonderful trip to Berlin without any incidents. All the below mentioned activities can be easily done by yourself. Berlin is full of solo travelers and whether you enjoy meeting other people or be yourself – in Berlin you can do both. So, while this is not a specific “Solo Travel Guide to Berlin” it is tailored to solo travelers as well as families, friends or couples. Best Things to Do in Berlin in 2 Days – let´s get started! Okay, let´s start with “what to see in Berlin in 2 days”. 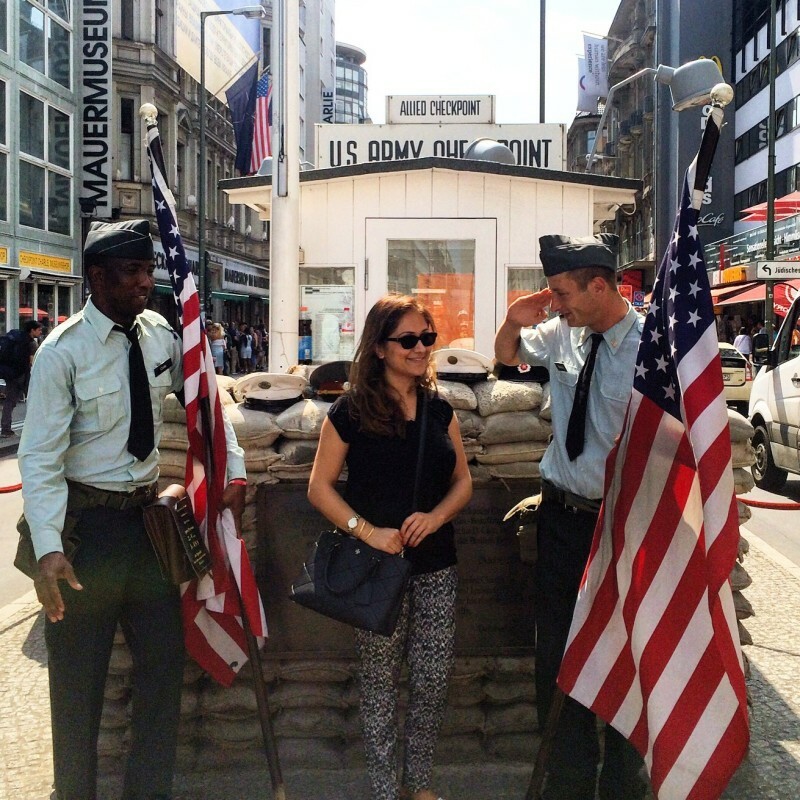 You could start your trip with visiting Checkpoint Charlie. It is the most famous crossing point between the former East and West Germany. The place is full of history. A museum offers for the history interested many more information about the Cold War and the division of Germany. If you are looking for an interesting souvenir, you can take pictures with some US “soldiers” (they expect a 2€ donation). You can either explore the area by yourself or get your own private tour – for more information click here. The Gendarmenmarkt is very close to Checkpoint Charlie. It is actually one of my most favorite places. Though it doesn’t offer anything in particular, it is very charming, has beautiful architectures and some cafes. Maybe the most beautiful way to approach the Brandenburger Tor is to walk down Unter den Linden, the main and probably nicest boulevard in Berlin. The Brandenburger Tor is the most like the most famous landmark in Berlin or probably in all of Germany and stands nowadays for peace and unity. Though the place is very touristy, it is a must see. No tourist can leave Berlin without having seen this symbolic structure. On a sunny day (or even on some rainy days) you will find street artists performing – giving this place an extra cool touch – it is definitely one of the best places to visit in Berlin (this is a place you have to visit even if you stay in only 1 day in Berlin). Restaurants here are pricy but they come with a view, so consider having lunch here. The Holocaust Memorial was created a few years ago and is just a few minutes away from the Brandenburger Tor. 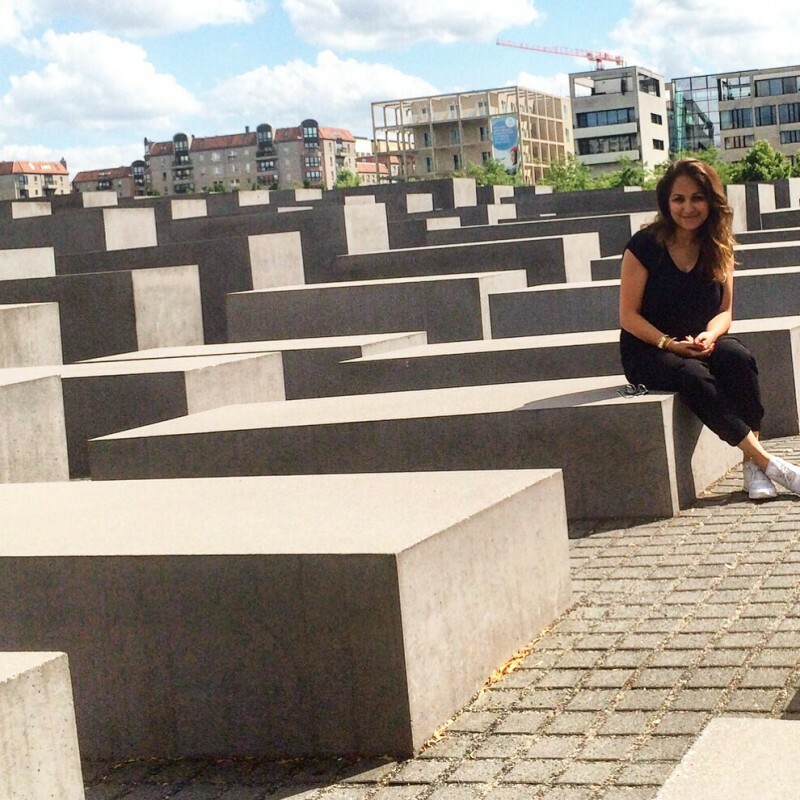 It was dedicated to the murdered Jews of Europe during the second World War. On the way, you will pass the US embassy. Though it isn’t very spectacular, but interesting enough to have a look at. 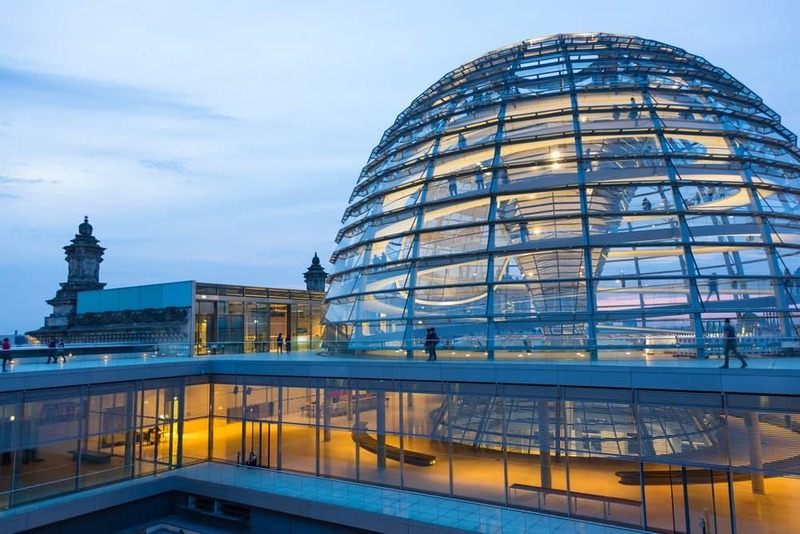 This day will be a busy day and it is not over yet – Berlin has so many points of interest and you´ll find so many great places that you should not stop here on day 1, but keep exploring more of Berlin. 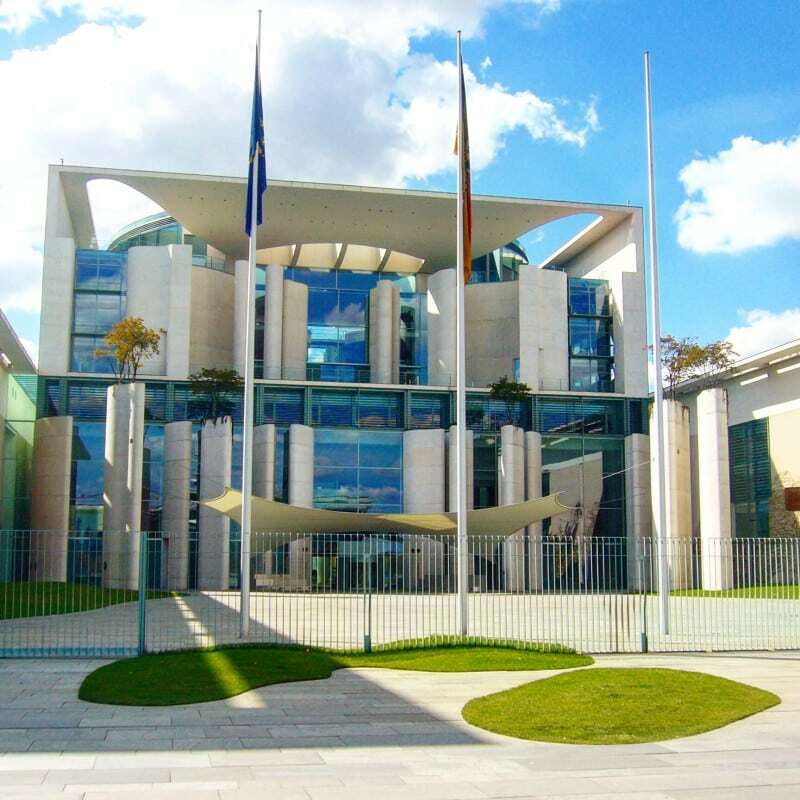 The Kanzleramt is the official office of the German Chancellor and it is only a stone throw away from the memorial, so you can walk to the Kanzleramt which has been the official office of Angela Merkel, our kind of prime minister/president. From there, head to the Reichstag. It is a short walk and no taxi or bus is required. 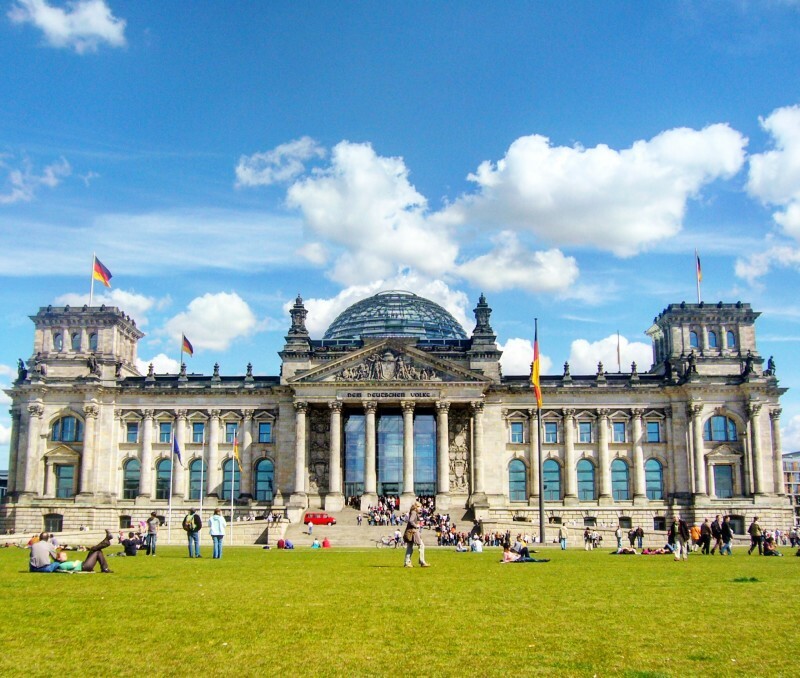 A Berlin tour wouldn’t be complete without a stop at the Reichstag, the German Parliament. The meadow in front of the Reichstag invites for a rest and is a great place to have a picnic. If you are interested to see the parliament from inside and enjoy the view from the glass dome, you have to book in advance. Okay, day 1 in Berlin was quite busy and the 1-day itinerary for Berlin might have been stressful but with this itinerary for you covered many great places in Berlin. As mentioned above, these are also great things to do in Berlin by yourself – or with friends, families or partners. Day 2 in Berlin can start at the train station which is easy to reach from many places in Berlin. The Hauptbahnhof (Central Station) is the biggest in Europe and maybe the most modern station I have ever seen. If you arrive by train you might have no need to come back, otherwise, it is an interesting place in Berlin and a good starting point to exploring more of Berlin. 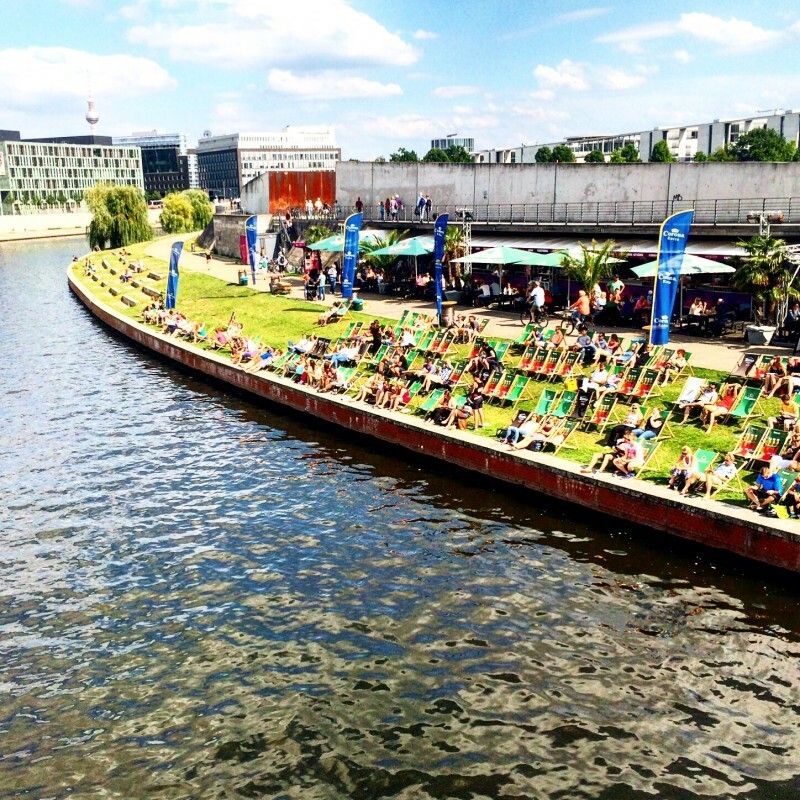 One of the best things to do in Berlin in 3 days, is to hop on a boat tour and do a Spree tour (that is the river in Berlin) – I love doing a Spree Boat Tour and think, it should be on your list as well. Also, after a busy day 1 in Berlin, you have deserved to take a rest. Boat tours normally start next to the Central Station and will take about an hour. You´ll get the chance to see many sights, but it will not allow you to see the Brandenburger Tor or the Reichstag. Some cafes line the Spree, and you can have either have a bite to eat or just sit and relax. What I actually like most about Berlin is the number of cafes and I can’t think of any western metropolis that offers beverages for more reasonable prices. I am not a fan of the people in Berlin (they are really unfriendly and “too cool”) – but it is easy making friends with other visitors from people all around the world in Berlin. 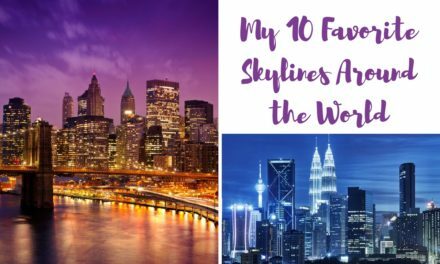 There is a huge variety and I think there is definitely something for everyone (which makes it a fun solo activity in Berlin, too). 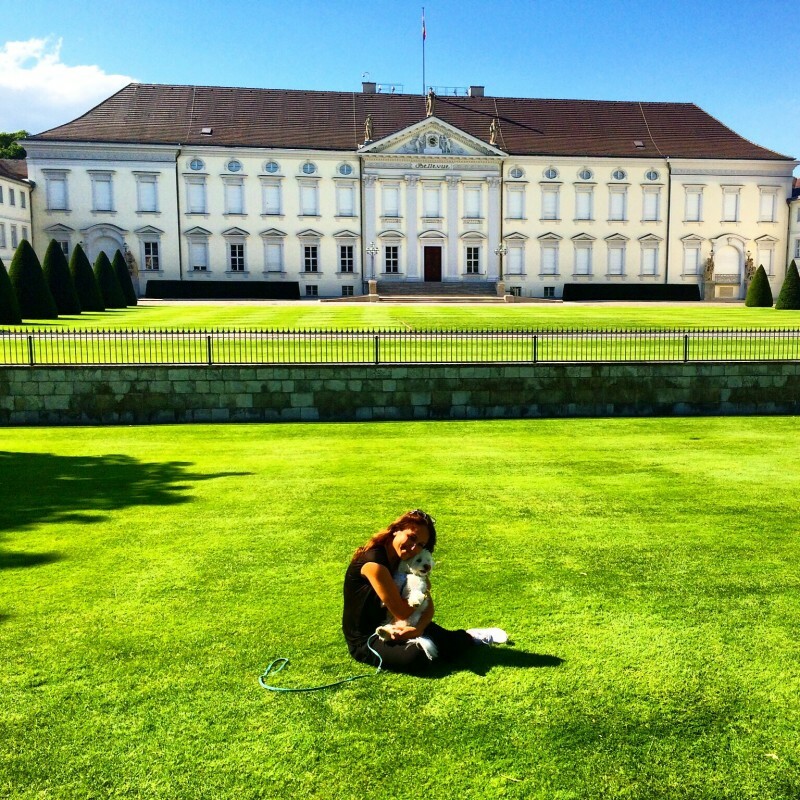 Schloss Bellevue, the residence of the German President, has seriously the neatest and nicest mowed meadow I have ever seen. It isn’t far from the Central Station and also on my 2-day itinerary for Berlin, though there isn’t much else to see. You can have a late lunch here and then start a little shopping trip. Even if you are not into shopping, checking out the most famous shopping street, Kurfürstendamm, is one of the best things to do in Berlin in 2 days. Don’t forget to stop by at KaDeWe, the most prominent shopping mall in Germany, hosting many luxury shops. However, each district has its own shopping mall. If you dislike crowded places check out the arcade in the district near your hotel, there are arcades in almost any district. 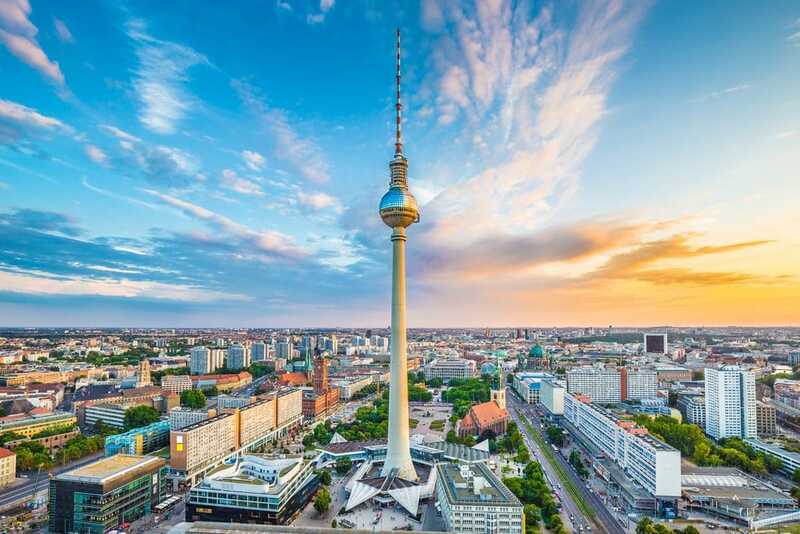 Extra tip: If you have some spare time on day 2 in Berlin, check out The Fernsehturm is one of the highest television towers in Europe and offers a unique panorama view. If you want to skip the lines and get up you can check out prices here. I visited once and it definitely a great way to enjoy good views over Berlin. There is also a restaurant, though we did not eat there, I can definitely recommend visiting this Berlin tourist attraction. Here are some more activities to do in Berlin if you share a super fast traveler or skipped one of the above-mentioned activities above. Dinner tip: I love the “Hakescher Markt” which is close to the Alexanderplatz – you will find lovely cafes in a even more charming environment and it is a great way to end your day in one fo teh restaurants there. 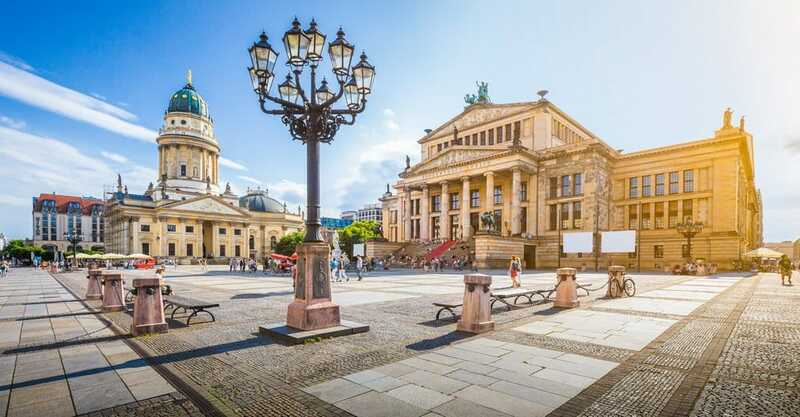 If you have 3 days in Berlin, you could take your time to enjoy the above mentioned Berlin activities a bit more OR you can squeeze in a bit more – believe me Berlin has a lot to do and a little away from the hustle and bustle is the district Charlottenburg. A great place for strolling and visiting Charlottenburg Palace. Though visiting did not take us a full day, it is a great place to see and afterward, you can plan in some time to explore one of Berlin´s other cool districts like Kreuzberg, Hackescher Markt or Prenzlauer Berg. With these tips, you should have great ideas on what to see in Berlin in three days if you prefer to travel a bit more slowly then this also makes a great 4-day itinerary for Berlin. If you have some more time (ideally at least 4 days in Berlin), I definitely recommend visiting the Palace of Sanssouci which is located in Potsdam (about 40km from Berlin). It is a great day (or half-day trip from Berlin) and so different to the hustle and bustle of Germany´s capital. I got there by car but it is easy to get there by public transportation or do a guided tour and loved walking around and exploring it by myself, but there are also guided tours available. For more Potsdam tips click here. I hope, you enjoy Berlin as much as I do every time I visit – and if the first impression is not good, just wait a bit and you might fall in love with Berlin. Disclaimer: This post contains affiliate links which means I might earn a small commission when you buy a product/service (at no extra cost to you). More about it here.